Sheffield Ju-Jitsu was formed in 1991 in support with the World Ju-Jitsu Federation and founder Soke Robert Clark. 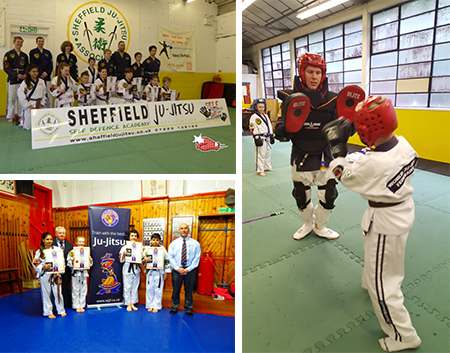 Sheffield Ju-Jitsu teach the traditional Japanese martial art of Ju-Jitsu to everyone from 5yrs – 80yrs. We instruct the W.J.J.F syllabus and follow a logical and safe progression through the belts to the coveted black belt and beyond. Learn from qualified male and female coaches in a structured, safe and friendly environment.